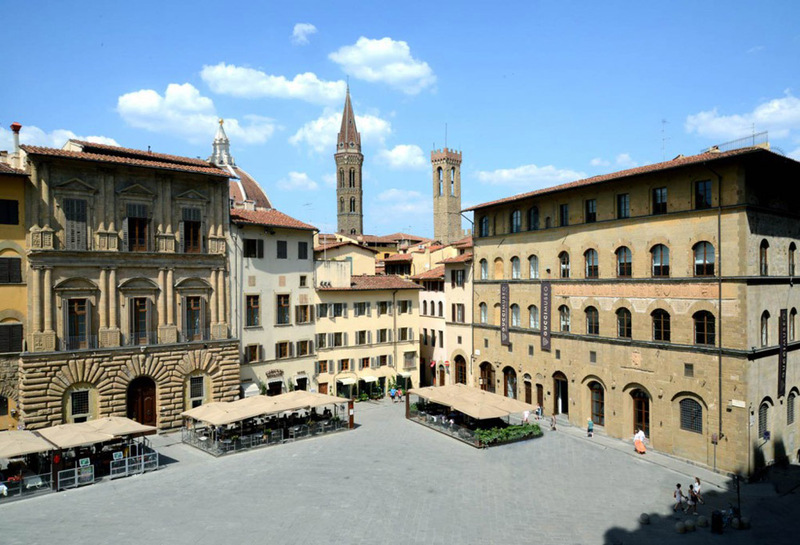 With the Fountain of Neptune standing guard over its entrance, Uguccioni Palace is located in the Piazza della Signoria just a few steps from the Palazzo Vecchio, the Uffizi Gallery and all of the city’s wonderful attractions. Recently restored, this elegant 3.000 square-feet Solstice home features 20-foot ceilings with 17th century hand-painted, museum-quality frescoes in the main living and dining areas, 15-foot windows, three spacious bedrooms and three bathrooms. Modern amenities include elevator access, central air in the bedrooms, radiant heating in the floors and gourmet kitchen. 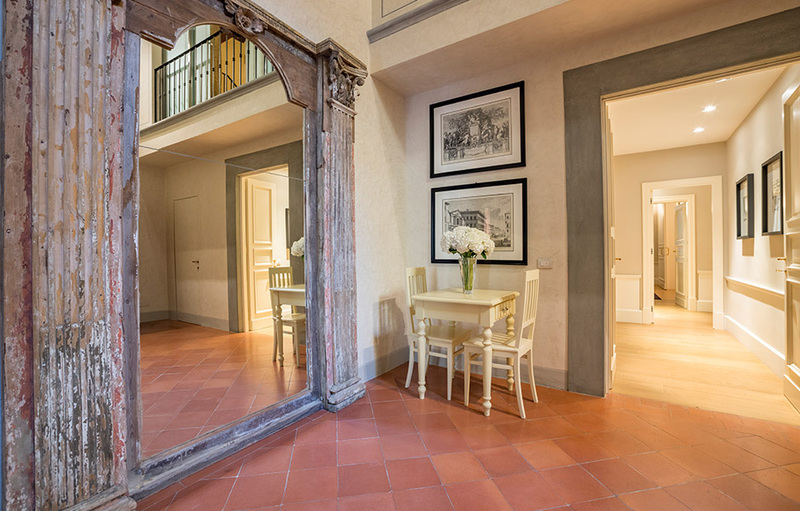 Most of Florence’s famous sights lie north of the River Arno where your Solstice home is magnificently situated in the heart of centro storico (historic center) on the Piazza della Signoria. Famous for its history, art, architecture and cultural heritage, Florence is an ideal destination for couples, families and friends - and home to some of the most exclusive art treasures in Italy and the greatest collection of Renaissance art in the world. Your day could start at an elegant pâtisserie, followed by a personalized walking tour of the city’s most beautiful landmarks or take a guided visit of the Uffizi Gallery. Enjoy lunches with locals at delightful little trattorias that dot the city - and satisfy your sweet tooth by discovering your favorite gelato and chocolate at cioccolateria shops. Foodies will be thrilled to have a guided visit of the Mercato Centrale, a bustling market filled with gourmet delights. If walking the city is too much or not enough, choose from a carefully selected list of in-home masseuses, yoga and Pilates instructors, or beauty treatments professionals. For dinner, live like a local and start your evening with a glass of wine in one of Florence’s best enoteca’s before dining out in the city - or relax at home while a personal chef creates a meal just for you and your guests. A visit to Florence wouldn’t be complete without a day in the spectacular Tuscan countryside. Rolling hills covered in vines, olives groves and rows of cypress lead the way to medieval hill towns such as Siena, Pienza and San Gimignano - all waiting to be discovered from your Solstice home. Travel time from FLR Airport to the property is approximately 20-30 minutes depending upon time and day of week.